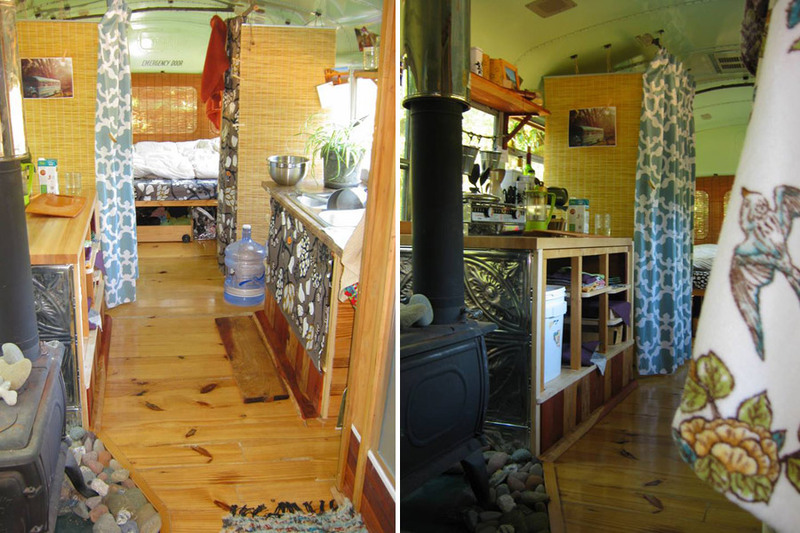 Attached are some photos of our tiny home conversion. 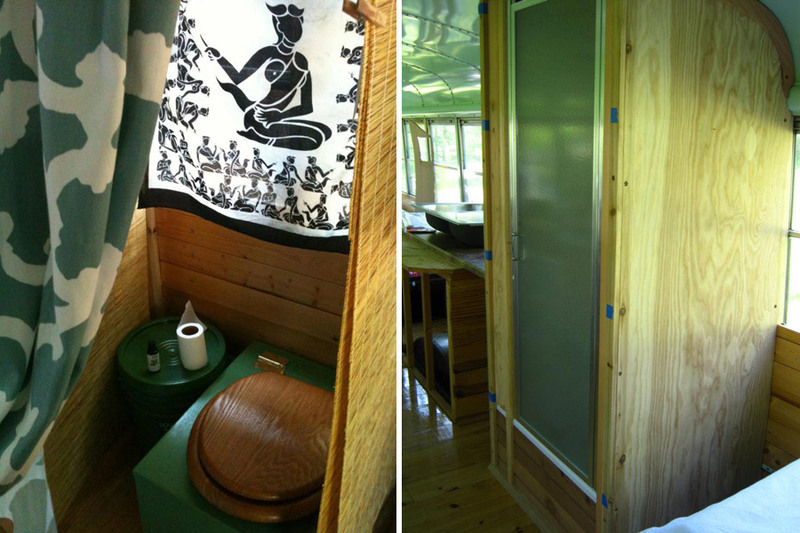 We repurposed a 1986 International Schoolbus, and created within it a very warm, comfortable, highly functional, off-grid, self-contained cabin. We live in the wilds of Southern Humboldt County, California where our home sets on an organic off-grid farmstead with a history of decades-old successful river and wilderness restoration. 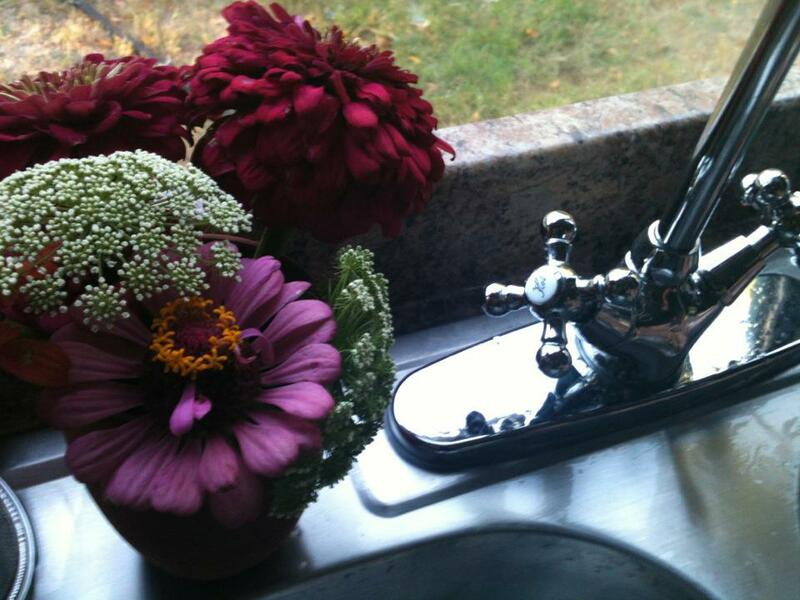 We exchange work for land-rent and water usage. 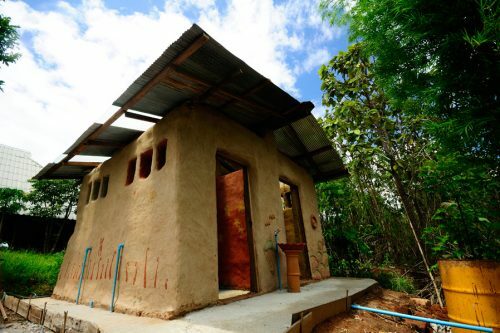 I’d love to share our home and our story with others as a model of empowerment. Unable to afford the devastatingly high rent and land prices in our area, and unwilling to give up even more precious time with my young children in order to work a third job, I decided to create a home we could afford and one we could call our own. Now when we move, we will take our beautiful hand-crafted home with us! I’ve shown my daughters that innovation and creativity are positive, powerful tools with which you can create a joyful life that honors your convictions without sacrificing a rich quality of life. Conversion and owned by Ashley Williams-Brookens. Beautiful!!! My search is on! I am ready to take the next step, and have been searching out tiny home options in AZ,NM,CA .. I love reading stories of people who have made the change, to a simpler life. My next step is finding the land to rent dirt cheap and work, like you mentioned. Or buy for next to nothing. I am a landscape photographer and cannot wait for this next chapter in my life to begin… Thanks for the photos!!! I love this bus design! And I love the concept behind it, too. But how have you managed to find land to put it on? In considering this sort of thing myself, I’ve always been preemptively defeated by the reality that zoning, ordinances, codes, etc. would eventually catch up to me and kick me out of wherever I was currently located. How have you managed to circumvent that? Thank you all for your uplifting words and encouragement!! Initially, finding a place to put our bus (especially because we had not yet begun our construction and so were asking for a location where we could do the actual interior renovation), was daunting. We heard a lot of negativity from people who recalled, from their own past, rolling caravans of “hippie buses” looking for places to park. Fortunately, we live in a very compassionate, creative, broad-thinking community where home-made, alternative, off-grid housing is the norm. We made hand-drawn flyers and put out some radio ads explaining who we are and what we were looking to do, and within less than two months, we had found our dream situation. I think it’s really important to be as clear, honest, and realistic as possible with yourself and potential land-owners about your unique situations, needs, and expectations. And ask that they be, as well. From there, much is possible! We are about to move Novelty to a new home closer to town, where we will pay a very reasonable monetary fee for rent of the land, water, and optional electric hookup (which we don’t necessarily need, but will serve as a posh backup in the rainy winter months). After a very positive two years with our work-trade situation, finding a new place was less challenging. Folks in our community know us better and we garnered some excellent references. A good reputation and commitment to your community go a long way in finding a place. My very best to each of you! If you have any questions about the how-what-why of our conversion, feel welcome to contact me at luminous.birth@yahoo.com. Beautiful job. Makes so much sense, too! You rock that bus!!! 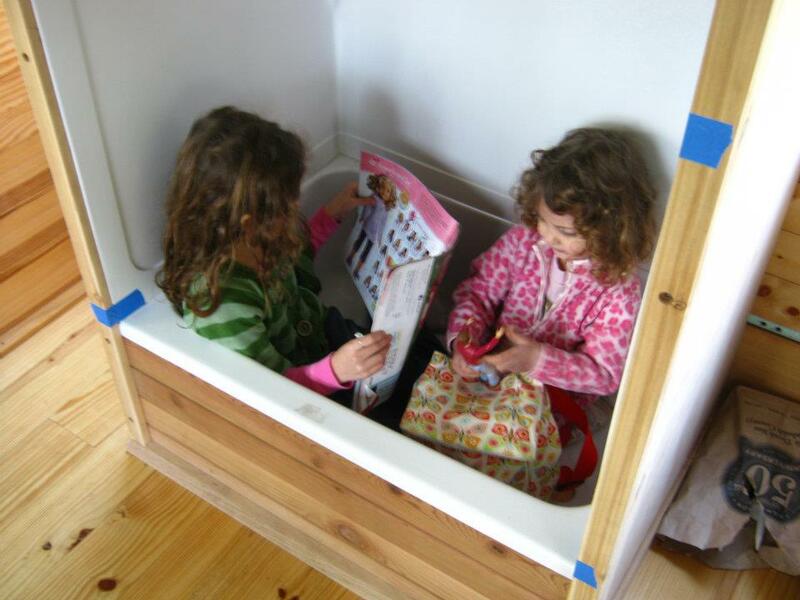 In my “previous” life as a homeschool mom we did choose the typical American non-traditional housing at times. A divorce and 8 years later I spend my leisure time researching tiny homes, alternative housing, Travel trailers, and buses such as yours to reward my life with debt free living and more time to travel, blog, and dance! I’m right behind you in a few months myself! 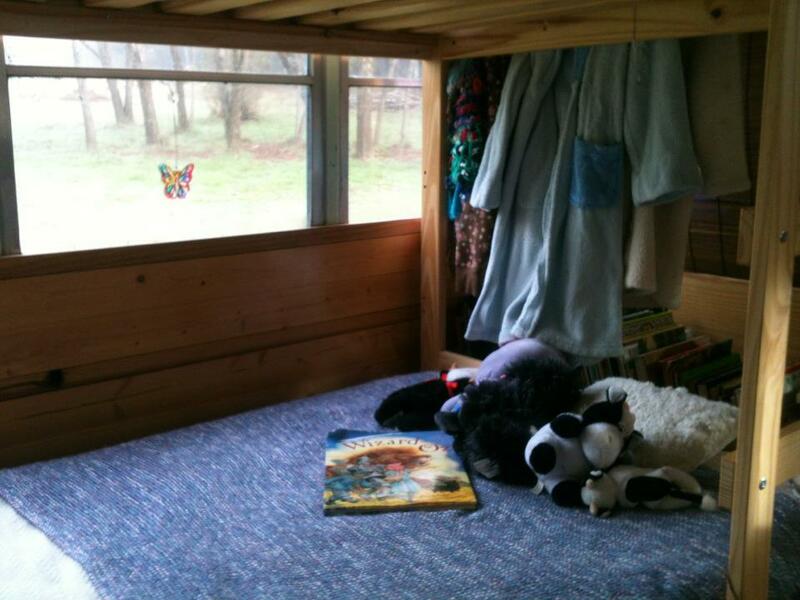 Hats off to you Ashley for creating a lovely and warm home for you and your young daughters. You are doing an outstanding job teaching them how to live “well” with less plus what is really important…which is having you able to spend more time with them. 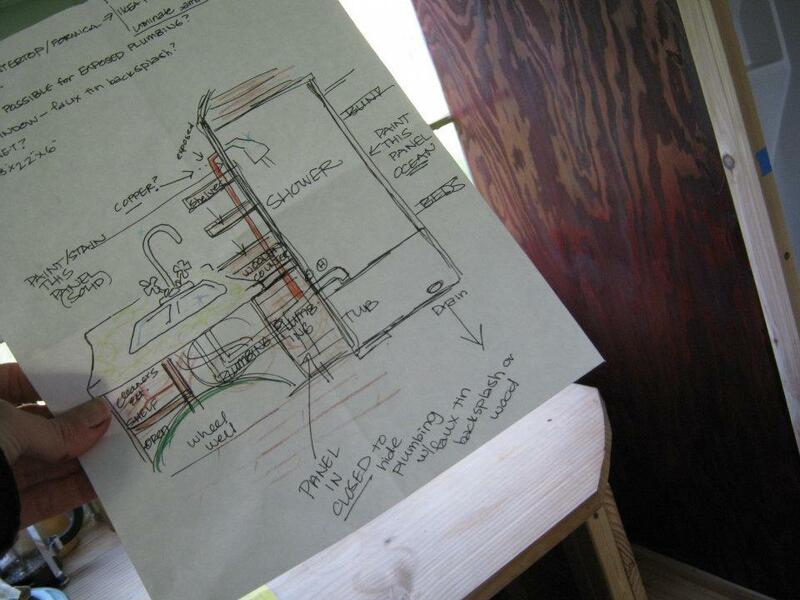 I’d also like to give HUGE props to my friends who helped me make this happen… especially the construction of the shower and plumbing, and the solar hook-up… these amazingly talented guys showed up and manifested my sketches and ideas exactly as I envisioned them. This conversion would have been absolutely impossible (well, maybe not impossible, but certainly a lot less beautiful and functional, lol..) without them! It really helps to have some experienced craftsmen around who are out-of-the-box-thinkers looking for an unusual project to get creative with. They were all so patient and open-hearted, and tolerated a LOT of questions 🙂 Thanks to you all!! I think it’s great idea the bus and might start looking for one then decide how and were to put it later. Fantastic. 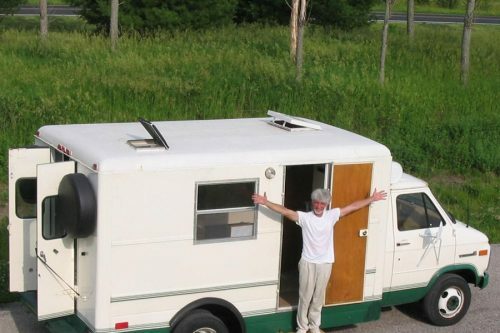 I’m bus huntinging still or I may build one of Tim Lemke’s American Vardo’s. I really only need room for me. 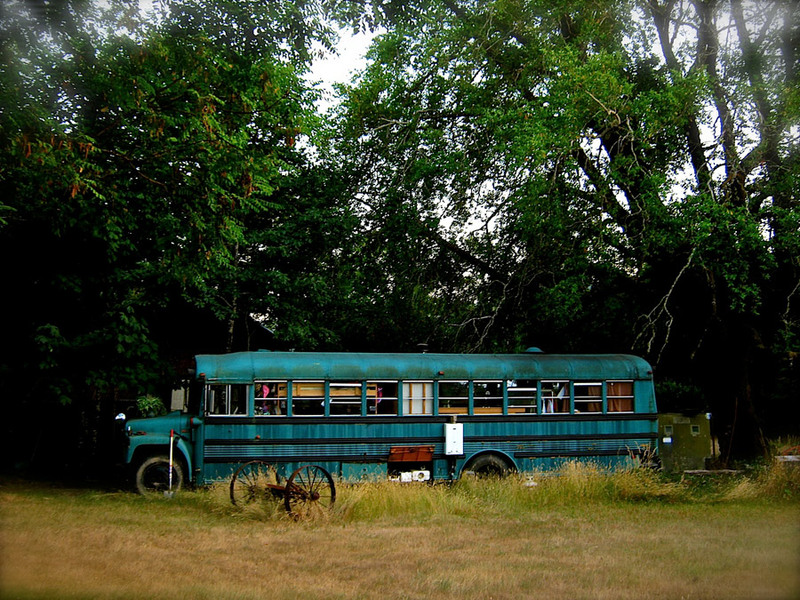 I have a practice bus named Pit Stop that I’ll be turning into a backyard retreat to gain some building experience. Like putting in a floor–at the moment its “Watch where you step!” or go through the almost non-existent floor. I tried emailing you but it didn’t go through. I know you wrote this long ago but would love to connect with like minded thinkers such as your self..
My new email is waxing.lumens@gmail.com (old one got hacked).. Freely contact me with any questions! 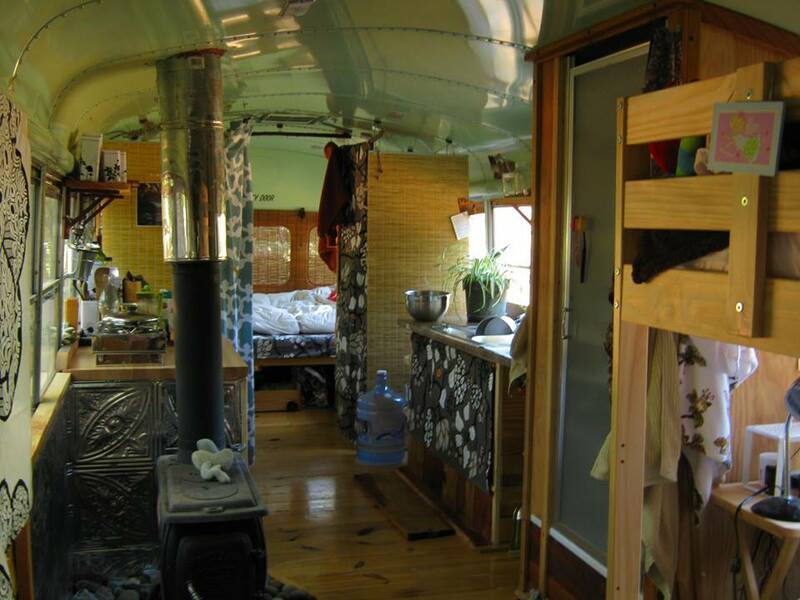 The Novelty UnSchool Bus is for sale! She really needs a new exterior paint job, which means you can paint her any way you fancy! One side mirror is cracked, too. Like so many of us, her exterior needs a little love, but her interior is lovely. Novelty also needs a new kingpin if you plan to move her much further than Humboldt or Mendocino. I am the third owner, first being a school district in Oregon, second being a farmer in Blue Lake who began the conversion. My family and I bought Novelty and transformed her into a really comfortable home that we’ve lived in for four years. We are moving cross country and though she runs, Novelty is not built for long distance travel. We’d really love to see Novelty go to some folks who will care for her, performing the upkeep necessary to maintain her whimsical charm. 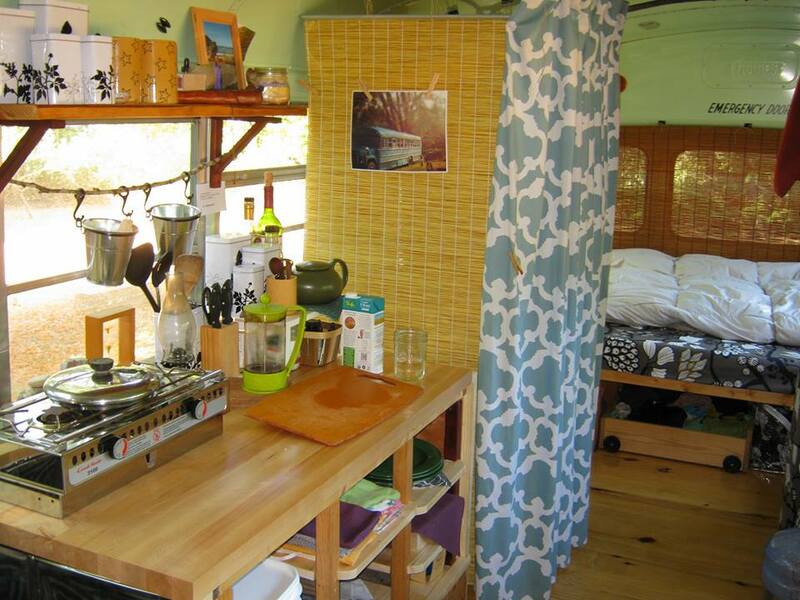 Novelty is an awesome off-grid home for tiny-house converts like ourselves, a magical guest house for visitors or seasonal guests, a glamping cabin for your vacation property, or a comfortable and unique income-producing air b&b! $15,000, absolutely firm, buyer relocates. We are also selling our 8×10 sleeping cottage.. Contact me for details! Still blown away by what you did with her, what you can do with anything. I remember it a shell with a big bed, some sketches and a dream.